Help! I’m feeling a bit snowed under. I think our barbecue is under that pile to the left, but I haven’t seen it in months. It is snowing right now. Welcome to Maine in March. While the rest of you are admiring your daffodils, Maine gets the most snow all winter this month. This year and last year were unusually snowy. During the day, the drifts shrink under the warm sun. At night it falls below freezing, and un-groomed snow becomes a treacherous sheet of ice. 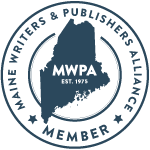 What is a Mainer to do? Head to the Brunswick Naval Air Station to ski. The sailors have kindly groomed a double track through the woods and a single track around the golf course. There’s a sign on Rt. 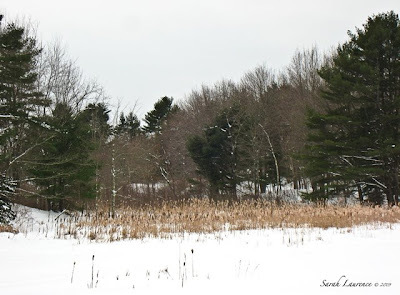 123 across from Mere Point Road, welcoming visitors. Drive in the open gates and park in the golf course lot to your left. 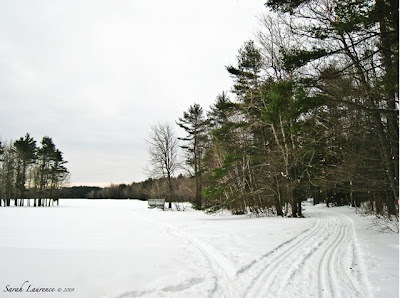 You can ski from either side of the road, but most of the trails are directly across the road from the parking lot. Start off skiing into the woods. It is a flat, easy trail leading to the water in under a mile. That’s my son who is on his school’s Nordic Ski team. He competes in classic (ie regular cross-country) skiing too. 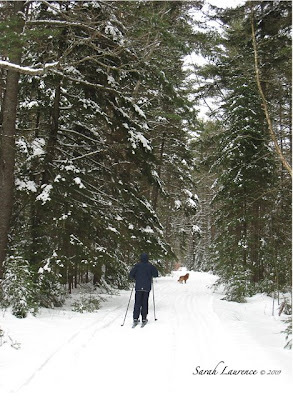 These trails are groomed for classic, not for Nordic/skate skiing. I taught my son how to ski, and now I get a work out trying to keep up with him. He goes “slow” for me. After you reach the coast, reverse back through the woods. Halfway back, take a right to the golf course. There are a couple of fun hills, a treat in flat Brunswick. The marsh is beautifully peaceful if you don’t mind the roar of jets on the nearby runway. You’ll ski by the water once again. The whole loop takes under an hour. I’ve seen wild turkeys and other birds. There are moose in these woods too. The base is in the process of closing by 2011, and hopefully this land will revert back to town commons. 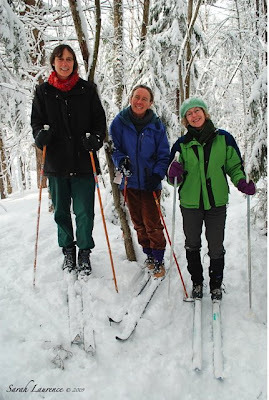 Here’s my friend Barb (middle) skiing with our friends Alida and Jean. She’s a Special Ed. teacher and a ski instructor. You might remember Barb from my post Mixed Religions & Mud Season. Her husband is a commercial pilot who used to be in the air force. There are also commercial pilots in Brunswick who used to fly for the navy. In addition to being a college town, Brunswick has been a naval town since World War II. For decades the base has brought naval families into our community. Their children used to comprise 20% of our school population. Despite their short stay of 2-3 years, parents and others frequently volunteer in our community and in our schools. My daughter’s soccer coach trained bomb dogs. I’ve been to the base a couple of times for research. My yet to be published novel, S.A.D., tells the story of a navy wife making the transition to civilian life in Brunswick. It’s an end of an era, seeing the base shut and the land opening to the public. Bitter sweet. Blog Watch: Congratulations! Jane Green got married and is just finishing the final edits on her latest novel, Dune Road/Girl Friday, which will be out in June 2009. Donna@The Doll Sweet Journal is pregnant. Jamie and Randy@Creating our Eden posted a heart-warming story about bloggers helping a garden in need after a tornado. It’s especially nice to hear some good news these days. How absolutely wonderful that you are able to enjoy mother nature they way you do in Brunswick. I meant to take our son to Atlanta’s brand new first-ever snow park this winter. The man-made park is covered with acres of snow including a 400’ tubing hill and a 30,000 square foot play area. Nothing like the real thing though!! Snow looks utterly cool and wonderful! 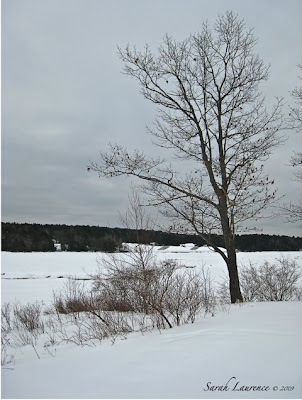 Always found the stark contrast that snow makes with trees peering out from the white blanket, serene and beautiful. Snow is still okay to walk on, but found it difficult balancing on the ice, very slippery. I'm so sorry to hear the base is closing. Ending eras and changing demographics are such big alterations to a town and a person's life. But, I guess on the other side, you won't have the planes roaring overhead anymore. Why is change always so upending? Looks like fun of the best kind Sarah. And in addition to keeping up with the son-I see Stella up there too. Do you suppose she is going slow for him? :) That Navy base has changed so much in all the years. I think it will be a good asset to the city once it is closed. Thanks for showing me a bit of home. I know my mother has been snowed in for a while too. Since I can't ski anymore I surely enjoyed tagging along vicariously. Thanks for the ride. MS, I do love living by nature, but your indoor snow park sounds like loads of fun. I can’t picture it. You’ll have to go and blog about it. Elizabeth, how nice to hear from you on vacation! I warmed up with your fabulous India photos. Anil, I love trees in snow too, which is just as well as that’s the scene here now. Ice is another thing altogether. Stacy, the base has been such a part of Brunswick’s character and economy for decades. We may get a commercial shipping airport instead, sadly on the noise front. You’re right that change good or bad is unsettling. Tina, my kids are loving winter after missing it last year. That is Stella sure enough. In deep snow, she’ll run behind my tracks. I’ve been training her to run beside the groomed track so she doesn’t ruin it. There’s a snow mobile flattened stretch in the middle good for dogs and snowshoers. The town will appreciate the recreational facilities and the extra land. I feel for your mother. The snow turned into rain today so everything is melting. It's a slushy mess. Troutbirder, how sad to give up skiing. I’m glad you enjoyed the ride. Ahh, I can feel that lovely, stinging heat on my cheeks after following you on your ski trail, Sarah. Fabulous photographs, too. Tessa, you totally get it. Skiing is the best way to keep warm outside. Thanks! March was always our traditional ski month, and yet snow upon four months of snow would be a bit tiresome to me! You are coping with it admirably. Bee, sometimes you get too much of a good thing. I’ve been enjoying skiing almost every day for 2 months plus but the shoveling, not so much. Jane is so happy. I don't remember there being a trail at BNAS when I was working in Brunswick - must be a recent phenomenon. We're lucky enough to have groomed trails everywhere. The only problem is that it's hilly here in Western Maine. Gorgeous photos, as usual, Sarah. What could be better than great exercise and conversation shared with good friends? I enjoyed your ski trip and story about the NAS, Sarah. We have quite the military presence here too, and it's part of the reason we love it here so much. I was trying to figure out Paco's breed. Is he a Belgian Turvuren? They're not very common. Wow--look at that snow in the first pic! How in the world do you shovel that much? Can you use a snowblower? Totally love the fun photos this week, Sarah. I don't envy you all that snow, Sarah, but what a beautiful place to ski! A nearby town to us was home to an Air Force Base for many years. When the base was closed about 15-20 years ago, it had a huge impact on the economy and make-up of the town. I hope that the closing of your naval base doesn't have any negative effects for the community; having the land for public recreation use or a nature preserve would be ideal. ME, the open trails policy is new. You used to need an invitation to enter the base. There isn’t much grooming in Brunswick. The other good public spot that is groomed occasionally is Crystal Spring Farm. Ms. Wis, it was single digit here last night too, but now it’s above freezing again. We’re getting there. Curmudgeon, it’s been a few years, but I think you maybe right about the breed. The dogs were bred in Europe. Paco is one of the highest decorated dogs in the navy. 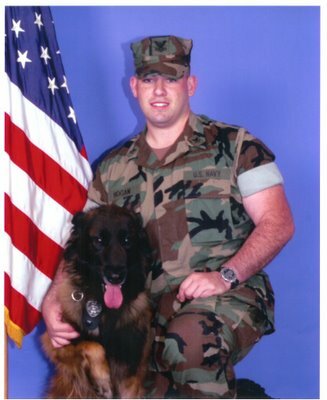 He even has a combat action ribbon and served in Iraq. JAPRA, we hire someone to plow our driveway. The town has a mini-plow for the sidewalks. 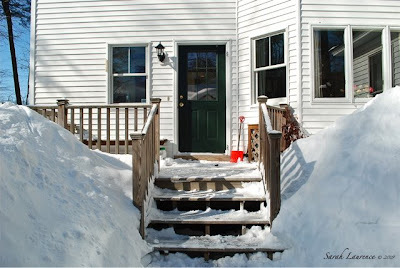 We abandon the front door entirely so we only have to shovel the back walk between the driveway and mudroom. It’s still hard work, especially with heavy wet snow in spring. My teenaged son usually does most of it on snow days, but yesterday I had to do it myself. Ouch! Rose, it’s worth it for the skiing. The base closure is going to have a huge impact, but hopefully we will survive the transition. It helps that Brunswick has a college and two hospitals and is in commuting distance to Augusta (the state capital) and Portland (biggest city.) I’m hoping for more conservation and recreational land. I think I envy you - I think I do. I enjoyed your guided tour of your home town, although I must admit that I was feeling quite cold as I looked at the pictures. It's quite mild here in London now and the thought of our March turning into your March is not very appealing. Yet, I could not take my eyes off the scenery, it's absolutely beautiful! Your son must have quite a lot of stamina, what with cross-country skiing and all that jazz! Many thanks for another fantastic post with wonderful images. You have such a beautiful sense of composition in your photos. Must be from your artistic nature. Just lovely! Luckily, during that last storm that hit in New England, all we got was rain. I love snow, but am ready for it to leave for the year. P.S. What month did you do that post with pics of your desk area? I plan on doing a post soon including pics of my work area and wanted to link yours. Dave, you should move to Maine. Most readers are shivering. I envy your daffs. ACIL, it is cold, even for Maine. We’re still waking to single digits (F) and it didn’t get above freezing today. I’m missing an English spring although my claim is it lasts all year there. I love the scenery here and enjoy the change of season. I’m sort of ready for the season to change already. My son would have winter last even longer. Alyson, thank you! I do try to work on composition, but it makes my hands freeze in winter. I’m with you on enough lovely winter. 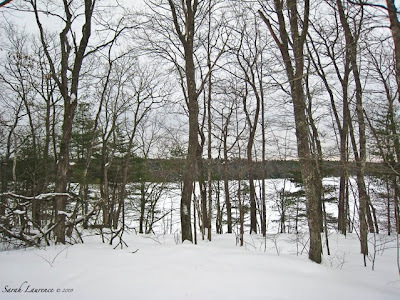 Here’s the link to my office post from January: Winter Work. I’m looking forward to seeing yours. Your photos make me miss the snow! And I love your blog watch at the bottom of the post! Barrie, your photos make me miss flowers. The "blog watch" is a fun way to share my wonderful community. Authorblog in my sidebar also does a “blogs of note” post. I know you must be tired of all the snow, but from my vantage point, and Edward's I must say, it looks completely delightful. Like a wonderland. And, Happy congratulations to Jane! Pamela, I get tired of shoveling the snow and slipping on the ice, but fresh snow is lovely. Stella never tires of it. She’s out in the yard having a snow bath now. Gorgeous pictures showing your gorgeous lifestyle! Thanks, Jan! I am lucky. Cynthia, community is what makes blogging special. A Parachute Rigger? You never cease to amaze me. Do blog about it someday. Lots of snow makes for beautiful photos but as a native New Yorker it grows old fast. I just left the South and am already to return. Btw that's a great pic of the soldier and the dog. David, I love Maine in all its snow, but I’m more than eager to head south to NYC once mud season hits. Fun to run into another native New Yorker. I guess I’ve lived here long enough to adapt. Thank you for mentioning my pregnancy! You're so thoughtful to remember me. Donna, it is such happy news!